The knee joint is where the thigh and shin bones meet. The end of each bone is covered with cartilage, which allows the ends of the bones to move against each other with minimal friction. The knee joint has two extra pieces of cartilage called menisci, which spread the load more evenly across the knee. 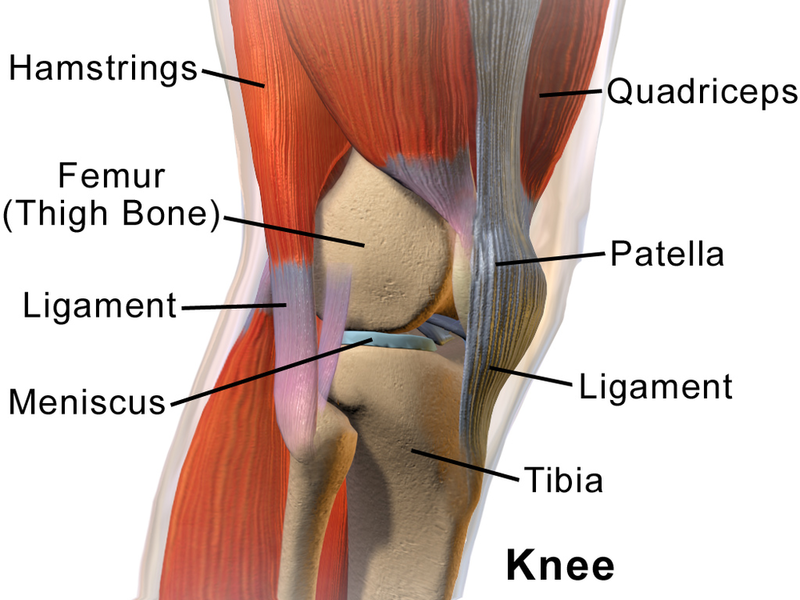 The knee joint is held in place by four large ligaments. These are thick, strong bands which run within or just outside the joint capsule. Together with the capsule, ligaments prevent the bones from moving in the wrong direction or dislocating. The thigh muscles (quadriceps) also help to hold the knee joint in place. There are many different causes of knee pain. A common cause is osteoarthritis, a condition that affects the body’s joints. The surfaces within the joint can be damaged so that the joint doesn’t move as smoothly as it should. Your doctor will be able to tell you what has caused your pain, but the information and exercises here will be relevant for most cases. If your knee pain is affecting your normal daily activity and is persisting, ask your GP about referral to a physical therapist. A physical therapist, or physiotherapist, can provide a variety of treatments, help you understand your problem better, and get you back to your normal activities. Surgery may be recommended if your pain is very severe or you have mobility issues. Your doctor will discuss with you what the surgery may involve. Knee pain can be caused by several different things. However, whatever the cause, exercise and keeping to a healthy weight can reduce symptoms and have the potential to cause a multitude of other physical and mental health benefits. You can take painkillers to ease pain. Some find that taking painkillers before exercise can help them to remain active without causing any additional pain.